Data Logging for Chemistry. Bring industry techniques to your classroom. From a simple pH pen to a Mini Gas Chronograph. 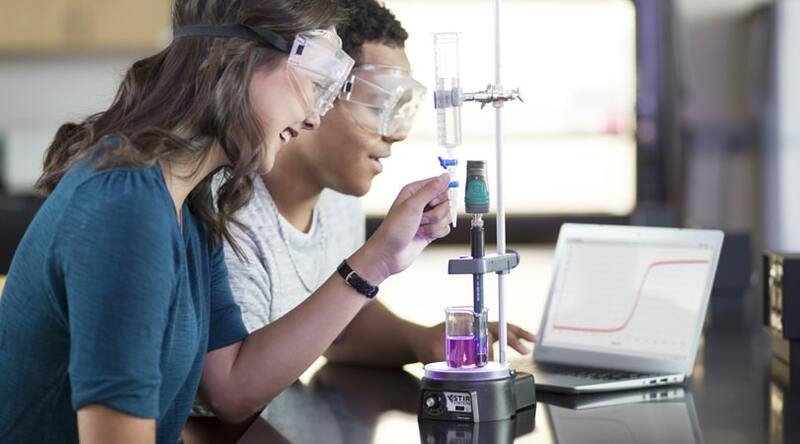 We have a wide range of products to enhance your students experience of real world techniques. The Go Direct pH Sensor is a general-purpose pH sensor used to monitor pH of aqueous solutions. It directly connects wirelessly via Bluetooth® or wired via USB to your platform. Turn your iPad, Tablet and Labquest2 Into a wireless pH Data Logger! 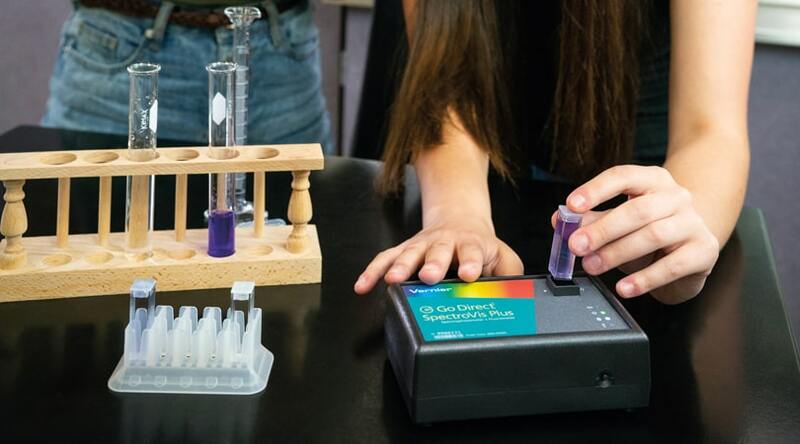 The 4-wavelength Go Direct Colorimeter measures absorbance or transmittance of a liquid sample. It directly connects wirelessly via Bluetooth® or wired via USB to your platform. 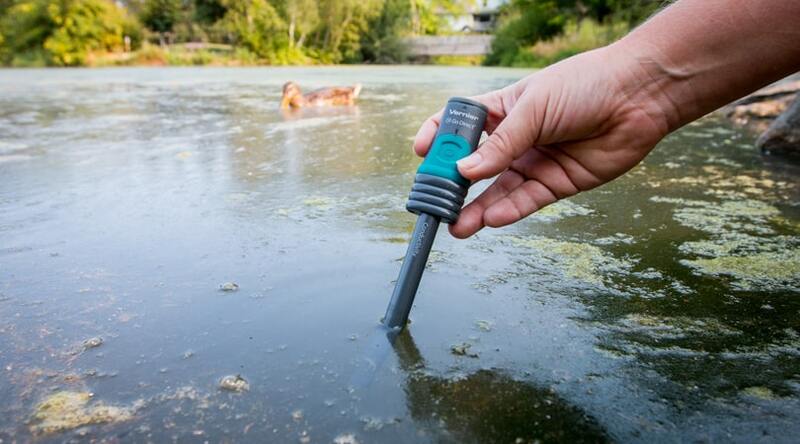 A simple and rugged sensor designed to measure temperature in the range of -200°C to 1400°C. Low cost and a wide temperature range make the Thermocouple an economical, versatile temperature sensor. The Stir Station is a combination magnetic stirrer and ring stand. This book makes it easy for organic chemistry instructors to integrate Vernier data-collection technology into then organic chemistry lab curriculum. The experiments involve characterisation of reactions and compounds using the Vernier Melt Station, Mini Gas Chromatograph, SpectroVis Plus, and the Polarimeter. Instructor notes include helpful tips for successfully completing the experiment, reagent preparation information and sample data.